Merged into: Sega Sports Design R&D Dept., New Entertainment R&D Dept. 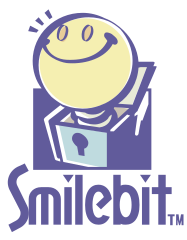 Smilebit (スマイルビット) was a research and development division within Sega. It is best seen as a logical continuation of Sega Software R&D Dept. 6 (formerly known as Sega CS1). It is largely different to CS1, with the majority of those developers leaving Sega to join the new start-ups Artoon and Land Ho!. Smilebit is largely based on Sega PC instead. Over time, Smilebit became the de facto studio for sports games, with the majority being aimed at Japan. Internationally, Smilebit was known for it's high-end Dreamcast and Xbox titles. Those developers ended up at largely at New Entertainment R&D Dept..